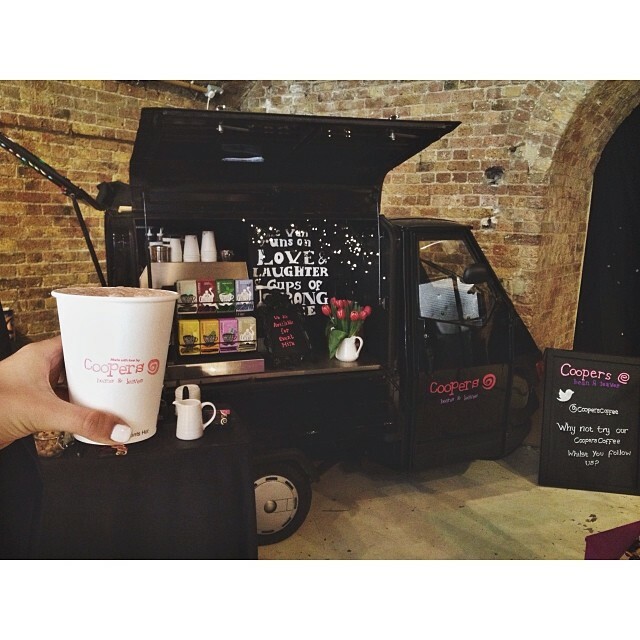 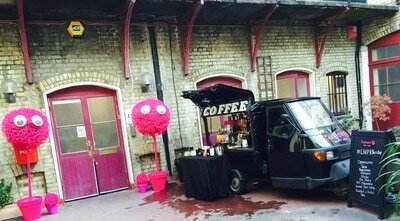 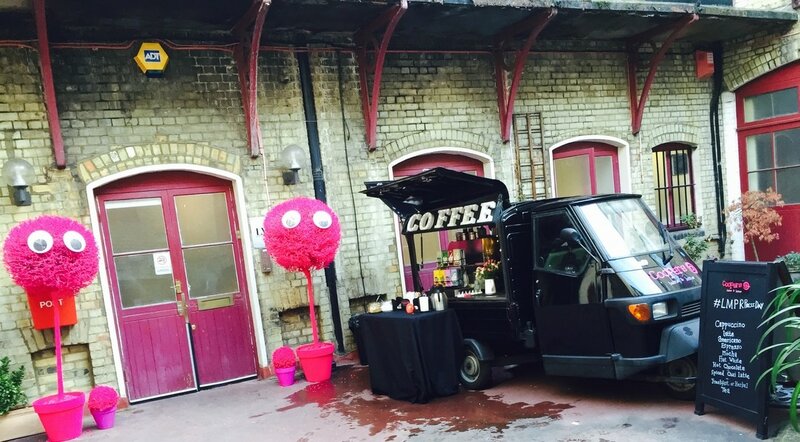 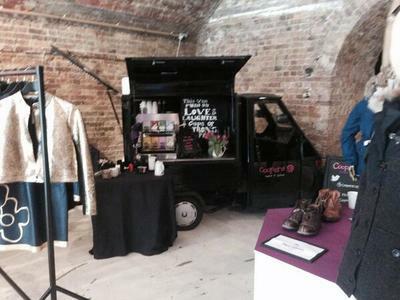 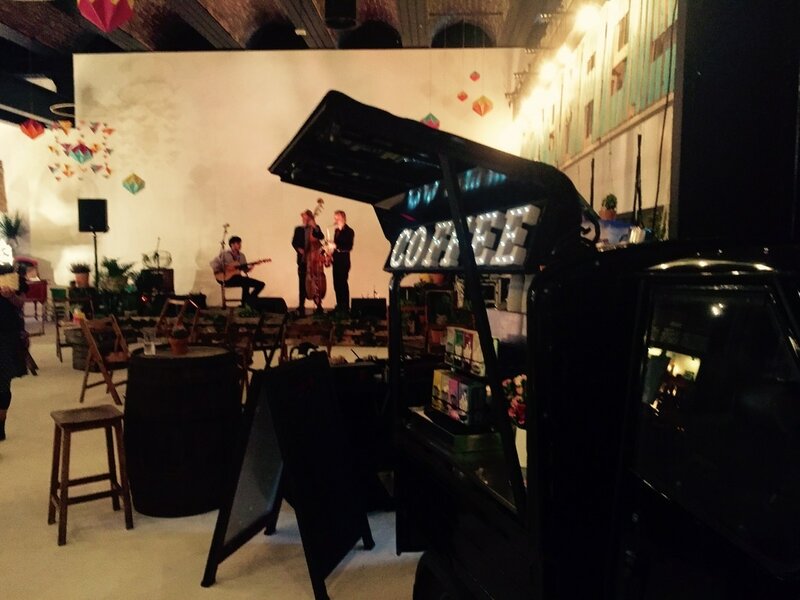 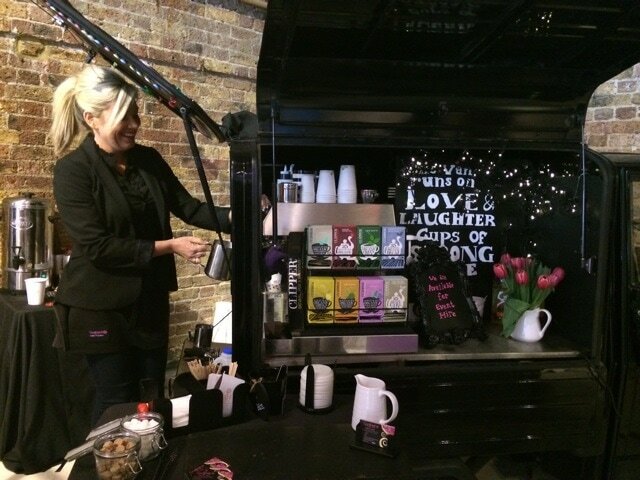 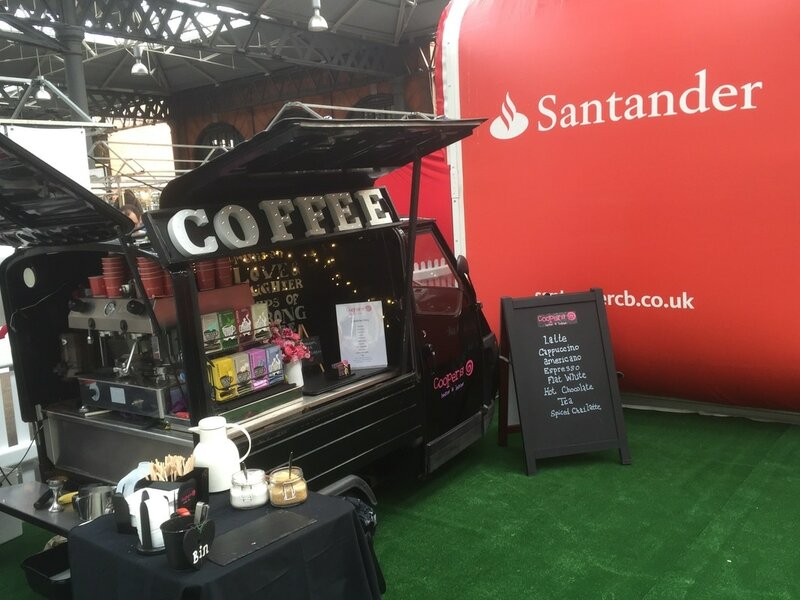 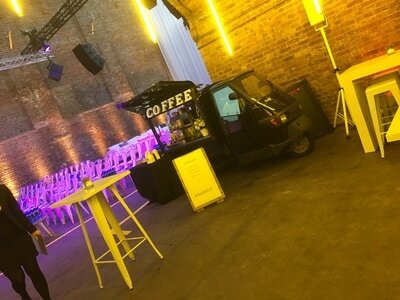 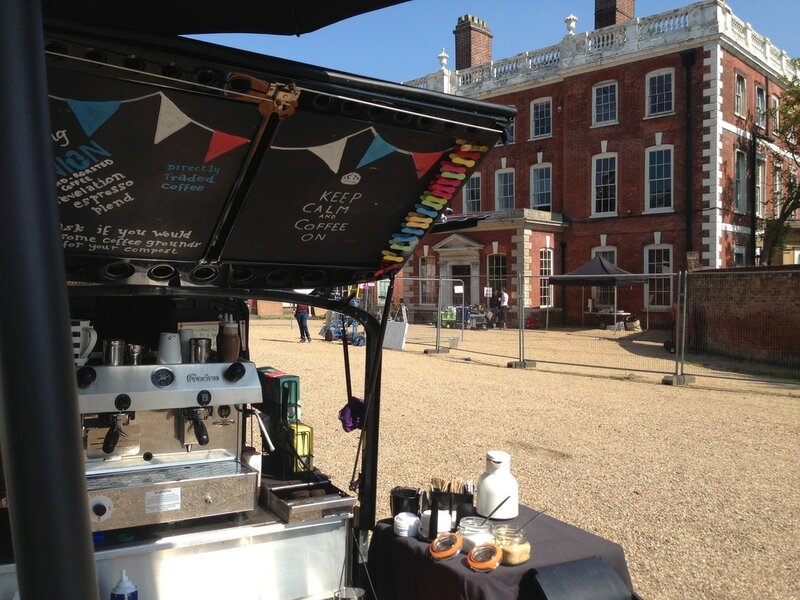 Our versatile Mobile Coffee Van or Mobile Coffee Bar service can be set up at any type of event, large or small. 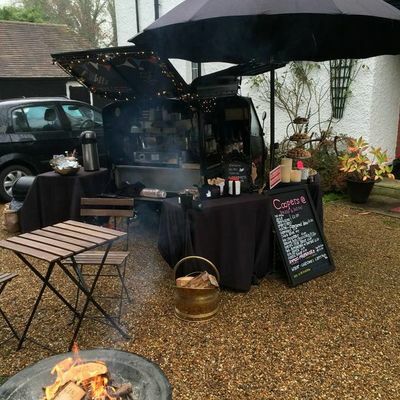 We are able to offer our services at any event, whether it be indoor or outdoor, corporate, public or a more private affair. 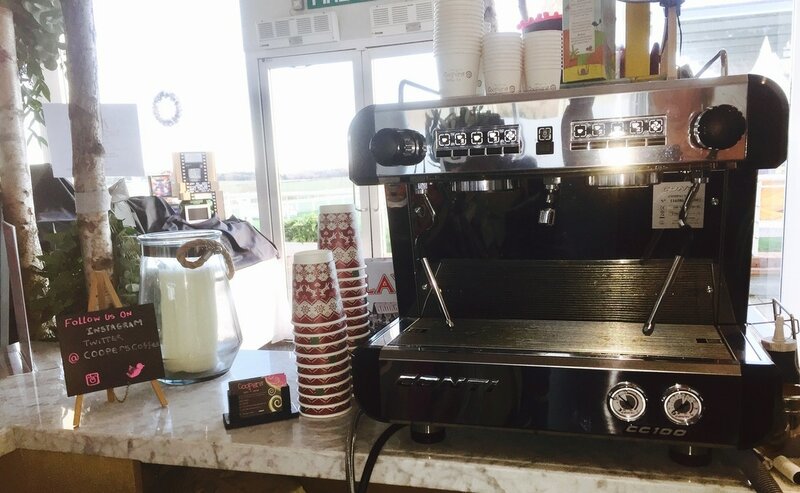 With our vast experience it is our aim to provide you with an exceptional coffee experience and believe that with great customer service & the best quality coffee, all of your visitors or guests will be more than happy. 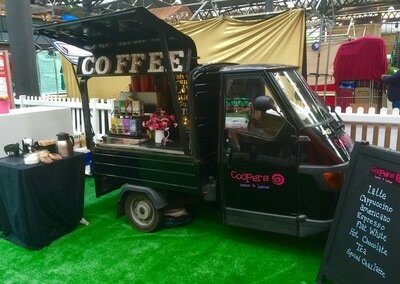 Full or partial branding of both our Mobile Coffee Van and Mobile Coffee Bar are also available. Along with bespoke coffee stencils and cups. Our Mobile Coffee Van & Coffee Bar are perfect the perfect treat to fuel your cast and crew. 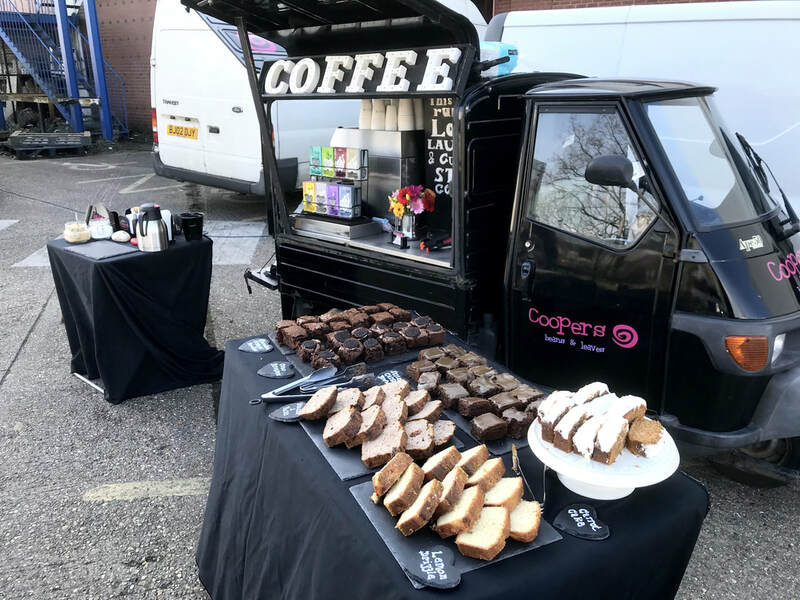 We are able to set up on location, at the Studio or on set offering our delicious coffee, hot drinks and home baked cakes as an addition to your existing Craft Services. Our home made cakes & brownies have also gained themselves a reputation with lots of production companies. 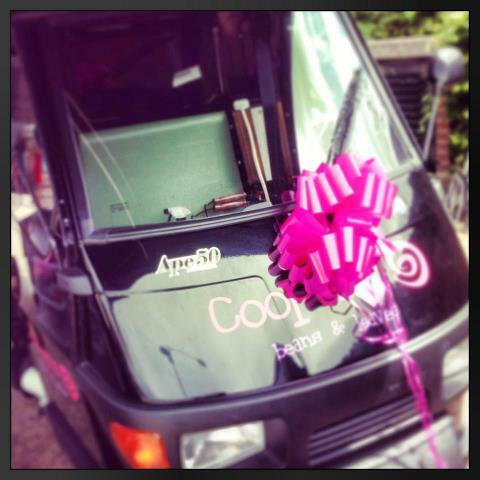 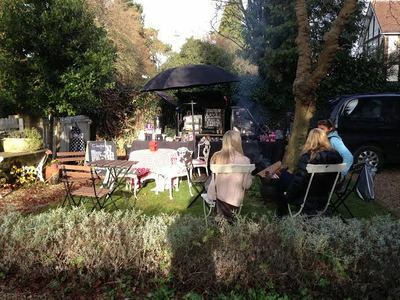 Our Wedding service is available with either our Coffee Van or Coffee Bar. We are able to set up at either your Wedding service location or reception venue, whether that be a Churchyard or a Country Home. 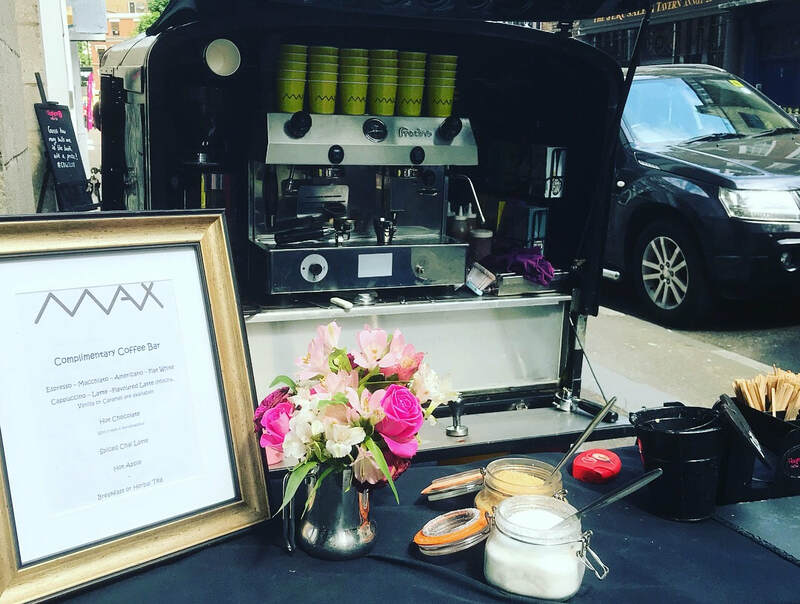 Our Wedding Service includes our fully stocked van or bar, our fully trained Barista, a colour coded ribbon for our van and personalised cups, branded with the Bride & Grooms name and wedding date. 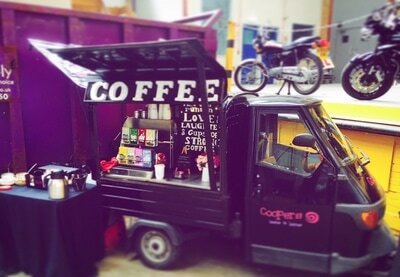 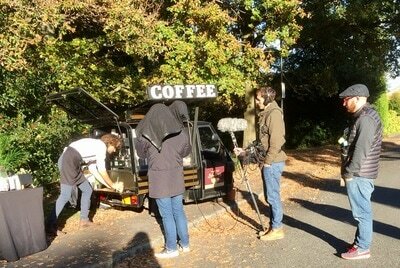 Ape van, or Mobile Coffee Bar and fully trained Barista. 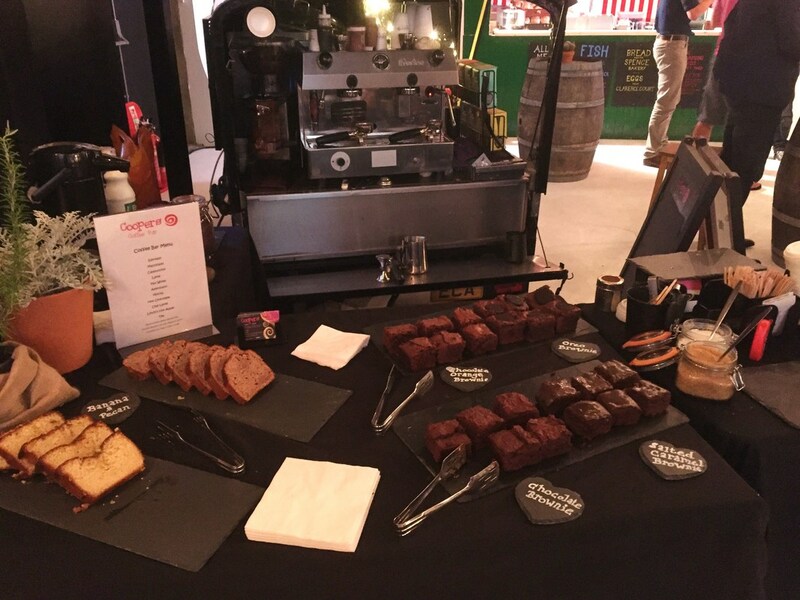 or the a selection of homemade cakes and brownies. 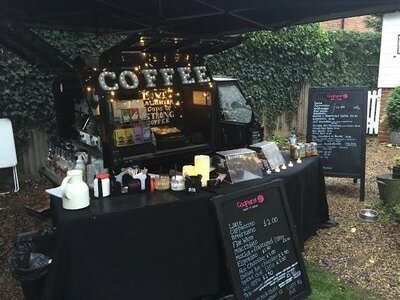 Alternatively, we can turn up on a "non inclusive" basis and charge your customers or guests directly, which is better suited to public events such as fetes, festivals, fairs, tournaments, sports days, fireworks, etc. 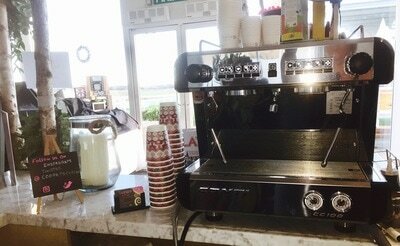 We are now also able to offer the opportunity for customers to pay by card. Our full list of events is long and varied and regularly updated on both our Facebook & Twitter pages. 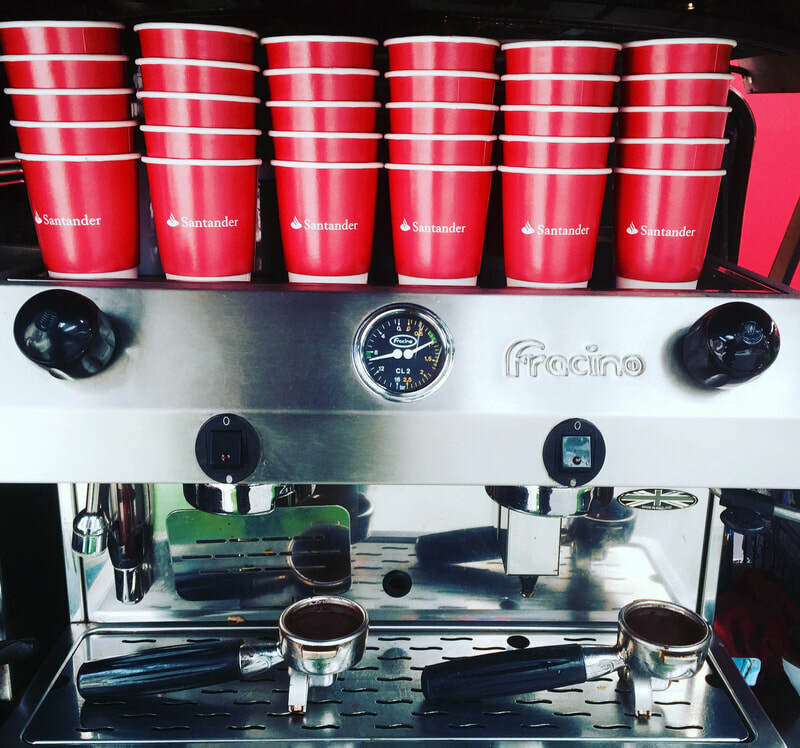 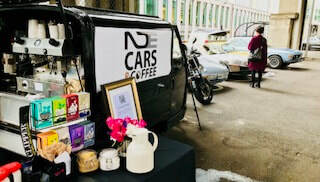 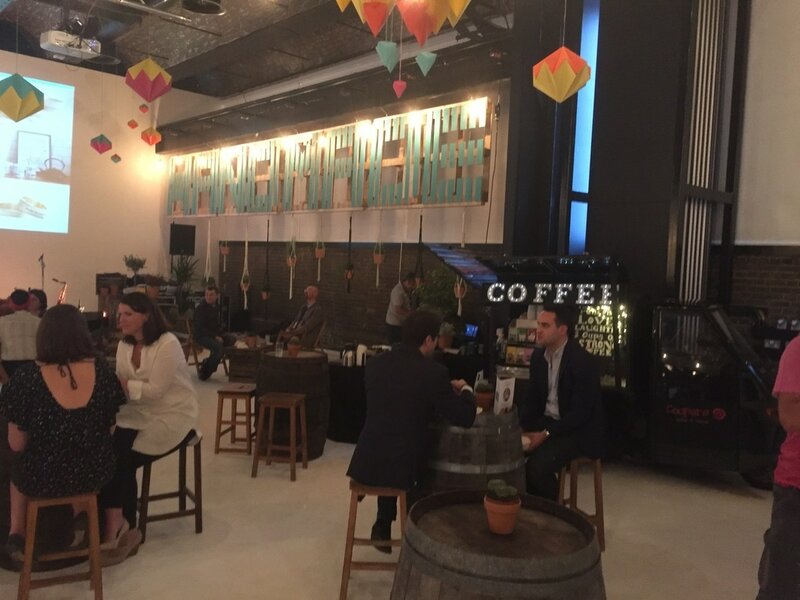 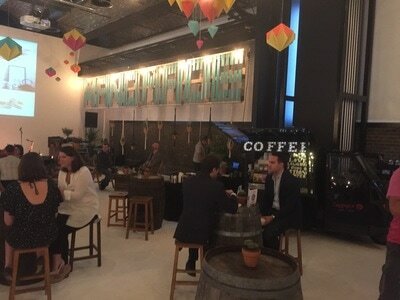 We have served our great coffee at sporting events, exhibitions, music and comedy festivals, firework displays, product launches, corporate events or treats, on set or on location film production work.